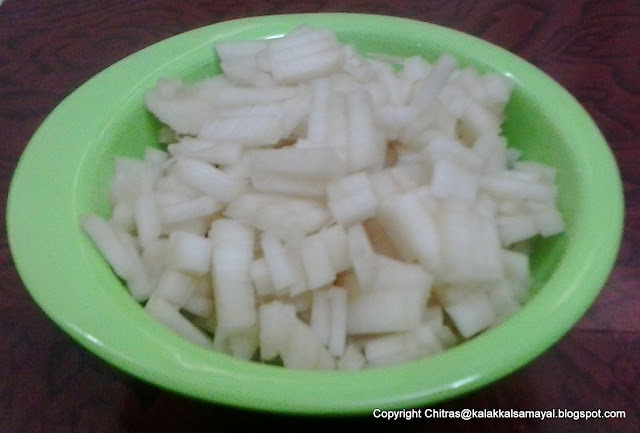 We have already seen Vazhai thandu Poriyal and here will see a stir fry using this banana stem. Cut one circular piece horizontally(cross cut) and remove fibre by pulling out. Again cut next piece, pull out and remove fibre. 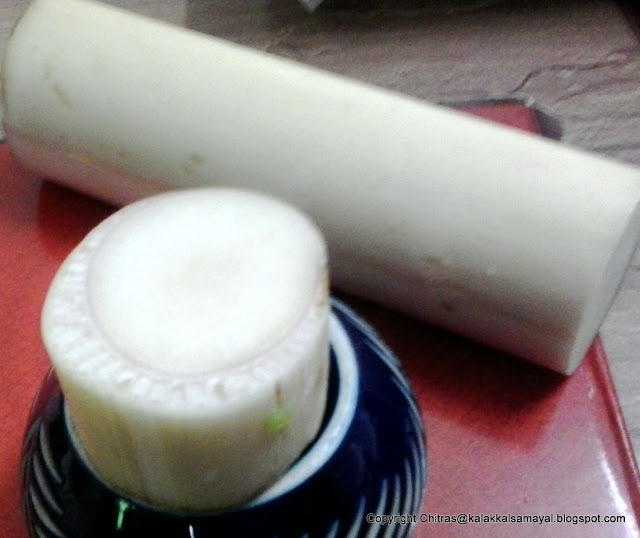 Place all the rounds in a very thin( watery ) butter milk or simply in water to avoid loosing color. Now chop all the rounds into thin pieces (julians ) and again put in water or thin buttermilk. 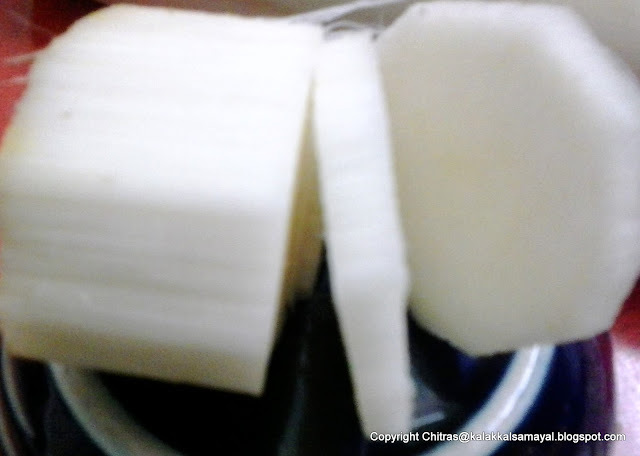 nicely chop onions & break red chilly into 3 to 4 pieces. Now place a kadai with a tsp of oil over slow flame. First splutter mustard seeds, then add red chilly pieces, & urad dhal. When urad dhal turns into golden brown add curry leaves, coriander leaves and onion. Saute for a minute then add the soaked green gram dal. Saute for a few seconds and immediately add vazhaithandu pieces and turmeric powder. Add enough salt and mix thoroughly. Now close the kadai with a lid. It cooks very fast ( only a minute or so) as the thandu is watery . Open the lid and add grated coconut. Ha! vazhaithandu poriyal is ready. Transfer into a serving bowl. A very good side dish for sambar or rasam rice.